The Kula Bus route will run from a stop in front of Pukalani's Tavares Center, along Kula Highway, and then Lower Kula Road to Rice Park. Then it will return along Kula Highway to Naalae Road, back along Lower Kula Road, past Kula Kai and along Kula Highway to the starting location. The round-trip will take about one hour. 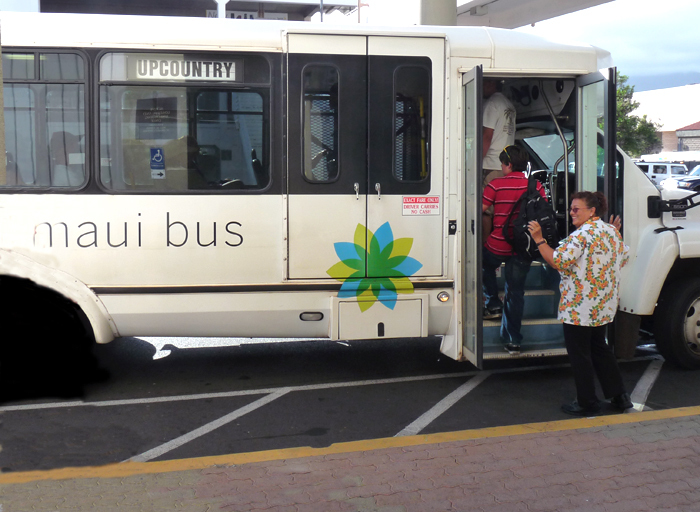 At Pukalani the Kula Bus will connect with the bus that goes to Makawao and then downtown to Kaahumanu Mall where other busses bo to Wailuku, Lahaina and Kihei/Wailea.